Corso Palladio downtown is the main road in Vicenza, yet it is closed off to traffic. 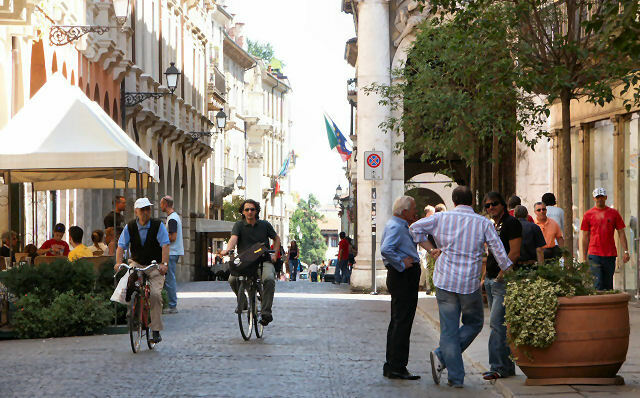 The downtown area is full of majestic palaces, street cafes, boutiques and shops. At the far end is Teatro Olimpico, about a 3 minute walk from here.